Welcome to our Video Portal. This portal is for internal use only and content here is password protected. If you have been given a password click on the video you would like to view and enter your password. If you would like to gain access to the content on this page, please contact our Marketing Manager, Daniel Freeman at (906) 239-3496. Are you looking to replace your meters? See how our Integrator software makes meter changeout faster and easier. Our solution allows you to update meter information, move the meter to an accurate location, and capture a photograph with just a few taps of the screen from any mobile-enabled device. mPower Integrator™: Fully Integrated Mobile Maps and Apps! 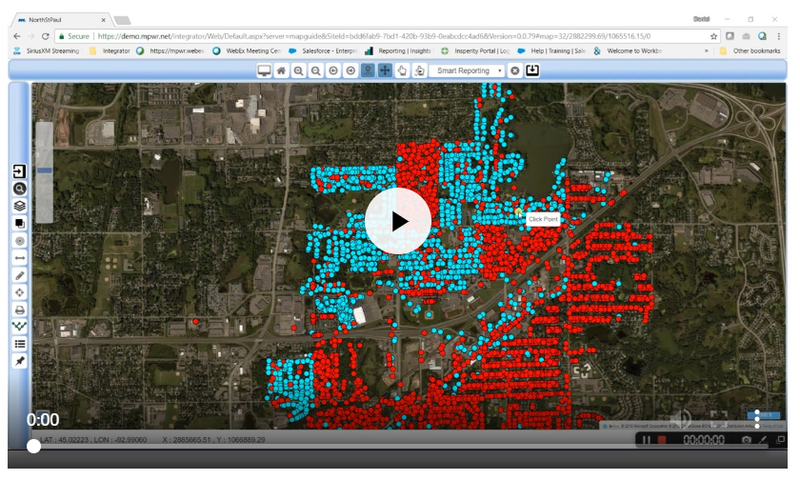 Learn how Integrator™ can easily bring data into your GIS from AMI/AMR, CIS, OMS, SCADA, AVL and virtually any other database or software application to create a user-customizable, browser-based intelligent Map Portal.